I say first, because Quad was the first “real” studio in which I served as the engineer. I had worked in the studios at Berklee and I had worked in the studio at John Hill Music (my first employer) as well as a few small rooms in Boston. I use the word “real” because Quad was a commercial studio with famous clients where ACTUAL records were made. This wasn’t some hole in the wall; this was NYC! Time Square! The big time! So now you have the background… Me, at the ripe old age of 21, dragging a flimsy luggage rack with three full-sized synths and a drum machine strapped to it across midtown Manhattan and into the elevator to ride up to my first big-time engineering gig. It’s summer in NY so I’m hot and sweaty and nervous and wound like a top. The elevator stops at my floor and the doors open to reveal that there’s a problem. The elevator, which by the way was full of commuters who appeared to seriously hate that they shared an elevator with a recording studio (not to mention me and my pile of gear), was a little more than two feet short of the actual floor. This meant that I needed to haul this rolling pile of electronics up and out of the elevator to get into the studio. At this point, I ask you to recall the adjective “flimsy” from my description of the luggage rack. It was the chrome-colored, folding type, made out of an alloy with roughly the tensile strength of over-cooked fettuccini. It snapped in half. We were off to an excellent start! Things did turn out okay, because over the next three years I worked at Quad quite a bit. 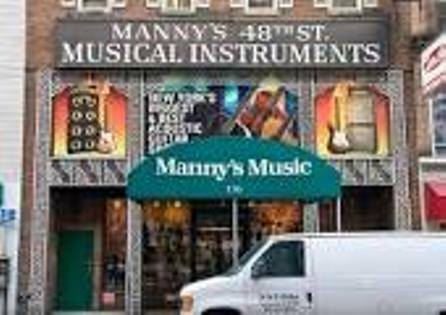 The place was not swanky, nor did it enjoy a reputation for having been the birthplace of some groundbreaking technological advancement or musical uprising that changed everything in the recording business. Nope. It was kind of grungy and it often appeared as though it would greatly benefit from a few days of downtime to allow for a bit of maintenance. The thing was, it was basically upstairs from Rudy’s, Manny’s and Sam Ash! It was right on Music Row… Location, location, location. So, the elevator stops a few feet short of the actual floor, who cares? I recall a particularly complicated session for an airline commercial (many musical styles for the many lands to which they could take you). The session was about 3 hours behind schedule when I arrived. That’s always fun. Advertising clients love to have things running late… I was working in my company’s studio for a morning mix session and was to relieve another engineer in the afternoon so he could go to a previously booked session at a third studio. I walked in and saw the musicians in the lobby and knew we were in trouble. These musicians were part of the group scheduled for the second slot and I was supposed to be starting with the fourth group for overdubs and then the mix. What a train wreck! I no longer recall why things had backed up so far but I do recall finishing the session at 4:00 am and waking my boss who had fallen asleep on the couch in the back of the control room. On another advertising date at Quad, we were rushing to get all the versions out the door and the assistant engineer was really having a hard time editing the 1/4” tape. This was long before the days of digital workstations and “cutting” the versions involved a razor blade. I saw that his hands were starting to shake and having the woman from the ad agency scream in his ear didn’t seem to be helping (go figure…). He shot me a pleading glance and I stepped in to take the blade. He handed it to me without reservation, I assure you. This did not, of course, stop the screaming nor did it lighten the mood. I was slicing and swapping out reels and handing off the finished edits for about fifteen adrenaline packed minutes. The client grabbed the stack of reels and rushed out the door for the film mix, which was already in progress. I sat back to heave a sigh when I noticed the odd expressions on the faces of the producer and the assistant. Frankly, I was expecting the same sort of relief and satisfaction I was feeling but what I saw was more confusion and concern. “What!? We made it; what’s wrong with you two?” I asked. “Look at the edit block” was the deadpan response. The front of the tape machine was dripping with blood and my hands looked like Lizzie Borden. I’d cut myself in at least four places and never noticed. They didn’t want to slow me down, so they didn’t say anything. I wish I could say that only happened to me once. The last time (embarrassingly, I can think of at least a few others) was at NFL Films. I was editing the music for Inside the NFL, back when it was still on HBO and was again facing a tight deadline. Razor blades are no longer part of the production process and I, for one, am quite happy about that. The truth is that many of the “lost arts” of the recording studio will not be the cause of anyone mourning. Hours spent huffing brass polish while cleaning patch cables, although still the task of a few overworked and underpaid assistant engineers, is not an activity for which I pine. However, I do think it’s important that the new blood in the music industry understands why audio plug-ins look the way they do and why the language of the recording studio has evolved the way it did. I think it’s a good thing for anyone who wants to record music to know the history of this confluence of science and art because it produced so much wonderful, capital “A” Art. This is aesthetically unique in that it transformed music from the ephemeral to the concrete. Recording allows music to exist like sculpture or painting. It can be revisited and passed along. Sadly, this has devalued music in a way. It’s too easily shared and that means the money no longer flows into the machinery. Consider this, major orchestras struggle to get any recording contract let alone the lucrative deals that used to buttress their bottom lines. Merchandise and live performance are now far more important to the finances of most artists than sales of recordings. Never have we been better at capturing music than we are right now and we’re just in time for the audience to value it least. Recording won’t go the way of the dodo but one very cool aspect of it may have already passed. Listening to music used to be an activity. No video image, no workout play list, no other verbs in the sentence. It was an end in itself. When was the last time you sat down and just listened to music? Try it out; it’s still amazing.